Biokleen Renew is a Metal Polish, Headlight Restoration and Fiberglass Restoration product. For best results apply and polish with the Biokleen Polishing Ball. May also be applied and polished by hand with Cotton Terry Towels. Biokleen Renew Metal Polish is specially designed to work universally on all types of metals and the various grades of aluminum. Most aluminum polishes will polish the aluminum and leave a decent shine, but in a weeks time the aluminum looks dull again. This is caused from oxidation, Renew Metal Polish contains a corrosion inhibitor to keep oxidation and corrosion from returning. This metal polish not only cleans and shines aluminum, but it also seals the surface - all in one application - all in this one bottle. Billet, diamond plate, running boards, rims, wheels, aluminum, stainless steel, chrome, gold, brass, silver, copper, bronze, nickel and more. Very easy to use. Complete it just minutes. 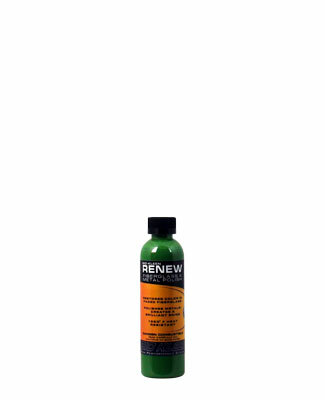 Note: Biokleen Renew only needs to be used as we fiberglass restoration product in extreme conditions and is recommended as a precursor to Biokleen Restore & Shine Xtra Cut and Biokleen Restore & Shine. A professional restoration product for extremely oxidized and faded fiberglass. Renews faded and oxidized fiberglass to it?s original color.